Video is the most important convertion medium for digital marketing. Some major brands like Nike, GE, and McDonald’s start to publish animated videos for their marketing campaign. With the development of technology, making an animated video is not a work just for video designers. Nearly anyone can create a professioal with animation software tools. We introduce 10 aniamtion platfor in this article to help all-level users make animation easily. Adobe Flash or Animate CC is a versatile platform for creating vector animation that lets you export 4K videos at ease, and do it via multiple devices, mobiles and desktop. You get complete resource for story boarding, drawing tools, HTML canvas, enhanced layer depth camera, and a cloud based sharing. 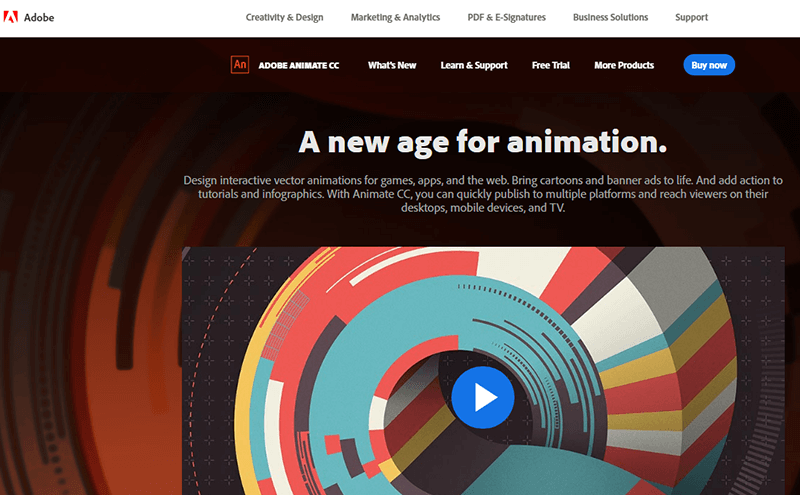 This is a go to platform for 2D video animation. Animiz is the new kid in the block. 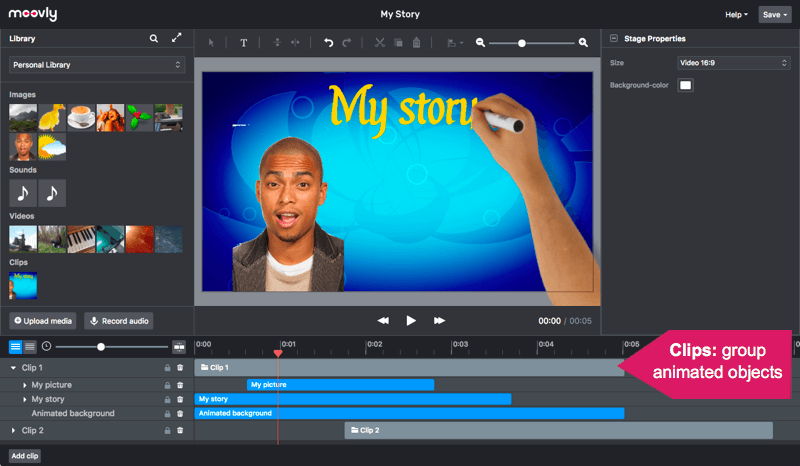 This budding new HTML5 platform lets you create interactive video presentations, explainer videos with lively special effects and voiceover features. It has a basic free plan that comes with host of features, and 10GB cloud based storage. 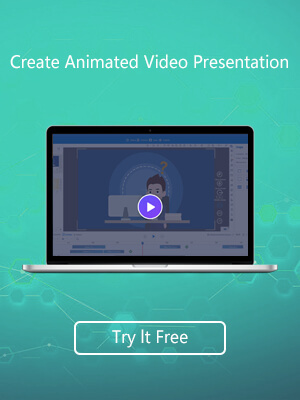 iClone by Reallusion is the game changer in cartoon video making, that is a feature rich suite with real time 3D animation, and motion capturing, HDR and easy drag and drop features. You won’t need multiple camera equipments; you will get a cinematic timeline and multi-camera systems. This is currently specific to Windows users, which is the world’s most common OS. A Mac version is expected to roll out sooner or later. Renderforest promotes itself as centric to business presentations and promotion, but this award winning cloud based 3D video animation maker, is pretty much suitable for versatile applications. Choose from endless pre-set characters, templates, logos, slideshow and typography, and editorial tools to make it yours, with a few clicks of the mouse, seamlessly and instantly. Go Animate is a common name for video animation amongst non-pros, and just about anybody. Get pre-set characters, this also vector based animation on a web based platform. Maya and above mentioned Adobe Flash Animate, still rules as the top video animation platforms. 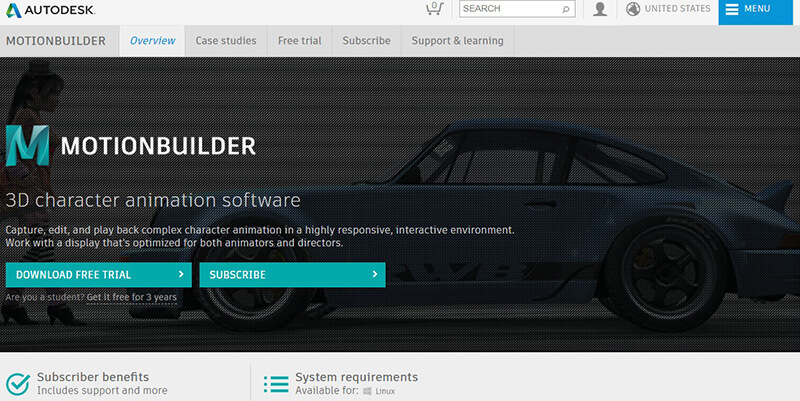 This is the most powerful comprehensive toolset, for character designing, simulation, rendering and motion graphics. Maya is one of the most expensive animation suites, and it’s every designers aim to own. 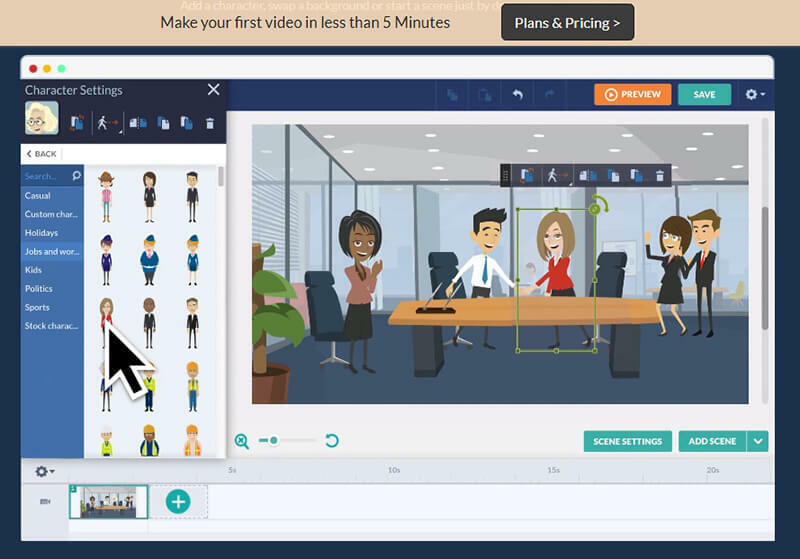 Create integrated video animations in minutes or in a jiffy, with over 500,000 royalty free pre-built and pre-animated media objects and assets. Moovly is an HTML 5 based platform that operates seamlessly across multiple browser and network speeds. 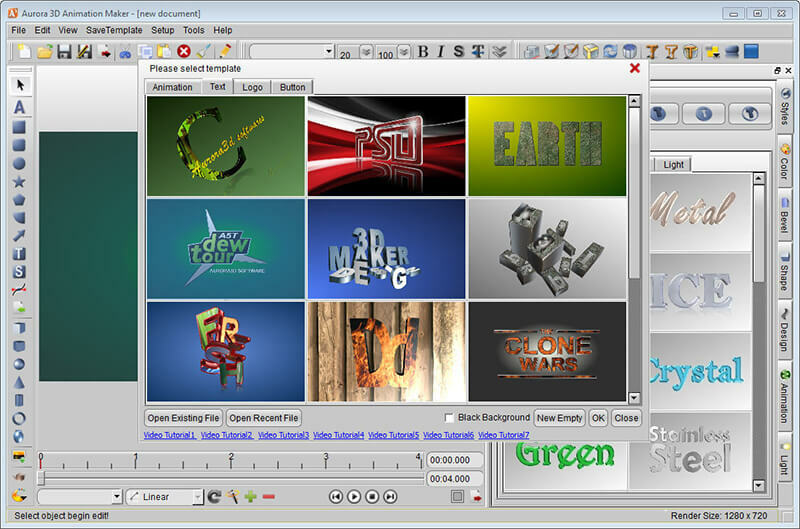 The Aurora 3D Animation Maker must not be confused with the other suites, like 3D Presentation, or 3D Logo Maker. The takes control of key frame based text animation, works with text, objects and images specified for applications like 3D movie title, Flash Banners and GIFs. One of the simplest and resourceful video animation platforms, Bitable is a free web based video animation platform that makes the most out 2D and 3D animation, with its hundreds of free assets, and editorial features. It can create professional and seamless videos, for business presentation, infograph, advertisements, school projects, and diverse artistic content. Crazy Talk is another genius by Reallusion, which is the most amazing facial animation and head creator pipeline. With this one, you can animate still photos, into 2D/3D animation; create videos, full length movies.